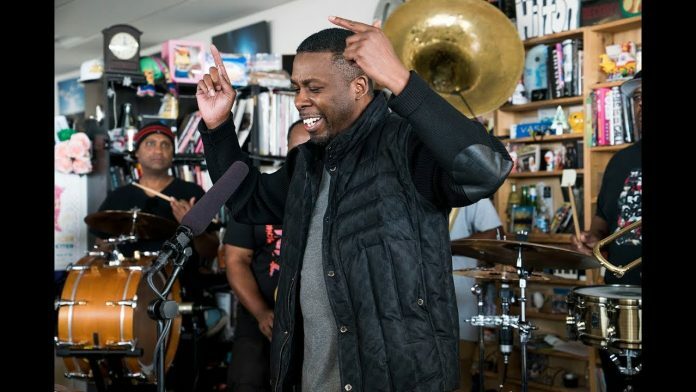 May 2, 2018 | Abby O’Neill — GZA’s performance at the Tiny Desk was a rare appearance for the legendary Wu-Tang Clan emcee, in part because he’s notoriously introverted, and because he brought along The Soul Rebels, an eight-piece New Orleans brass ensemble. Once they stepped behind the desk they got right down to business, opening with the sparkling “Living In The World Today,” from GZA’s 1995 solo album Liquid Swords. These 23-year old lyrics and metaphors felt timeless.